I have to repost this and try this out!!! Follow the original link here. 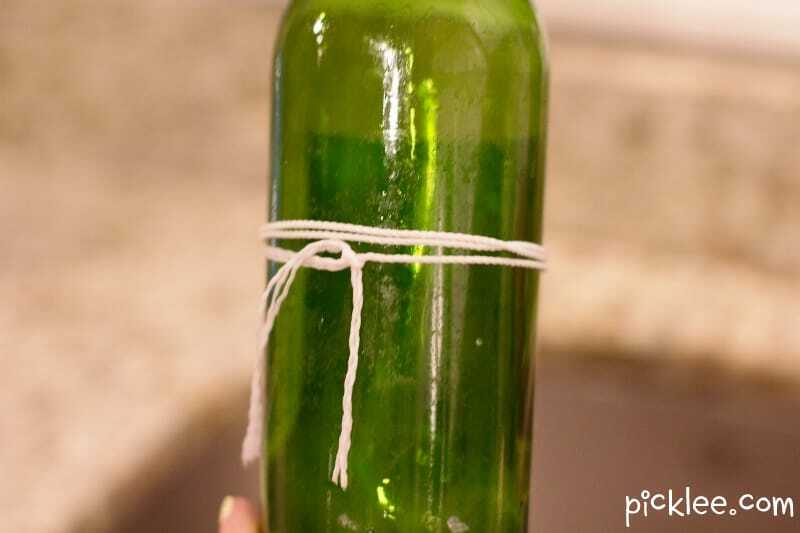 Wrap a (medium thickness) piece of cotton string around the wine bottle three times (wrap it around up to 6 times for a thicker bottle), tie it. 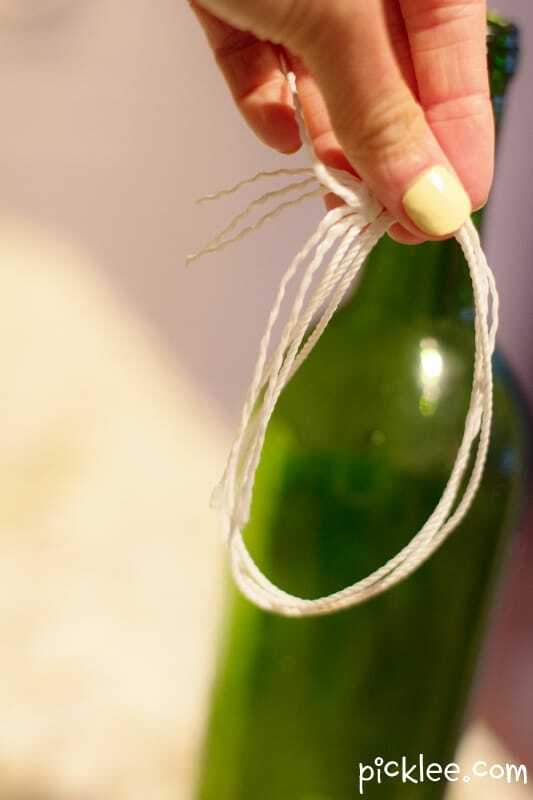 Once the string is tied, slide it off the wine bottle. 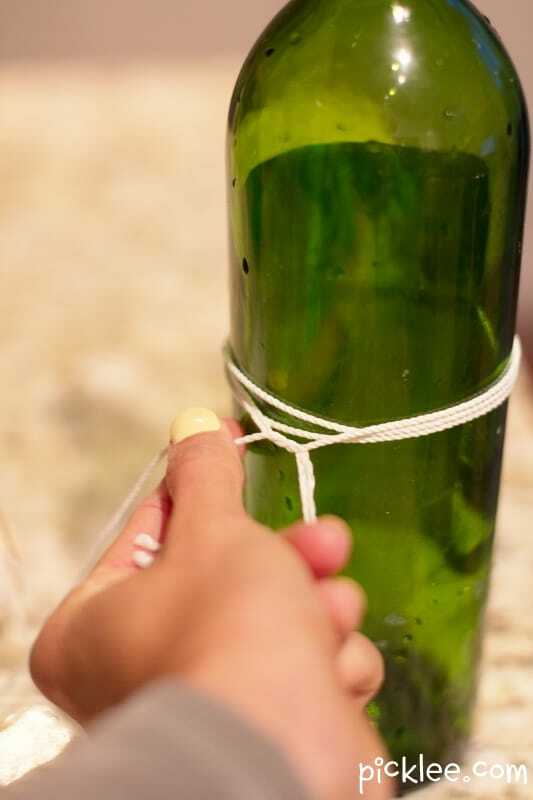 Using a match light just the string on fire, continually rotate the bottle in circles so that the fire spins around the bottle. 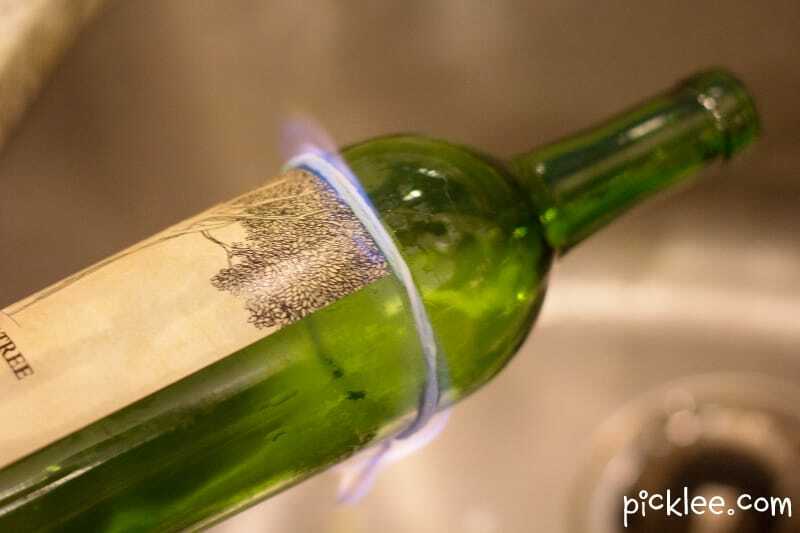 Keep rotating the bottle until the flames goes out. 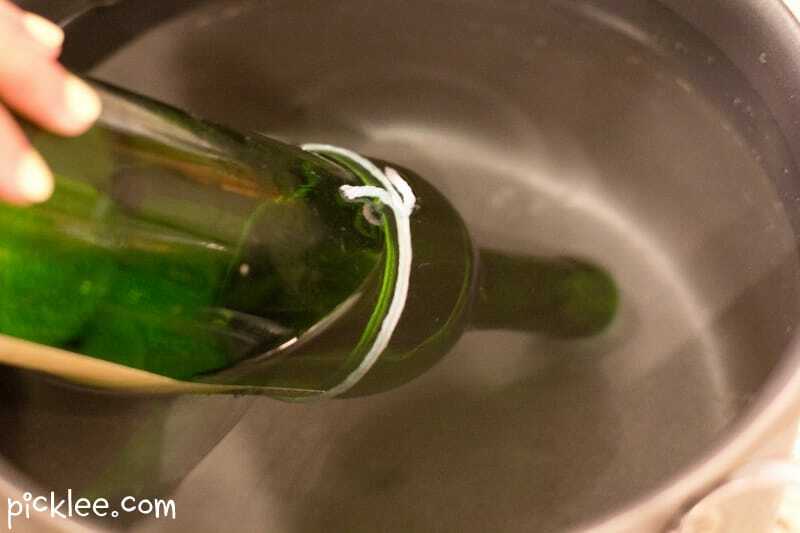 Once the flame goes out, quickly submerge the bottle in a pot of ice cold water and watch it break! 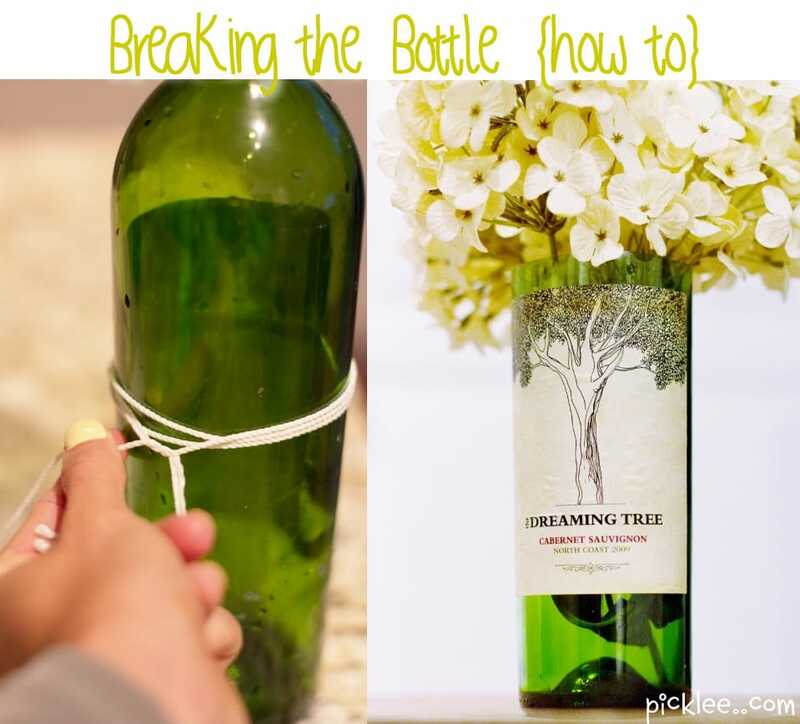 Now you can imagine all of the possibilities for up-cycling wine bottles! 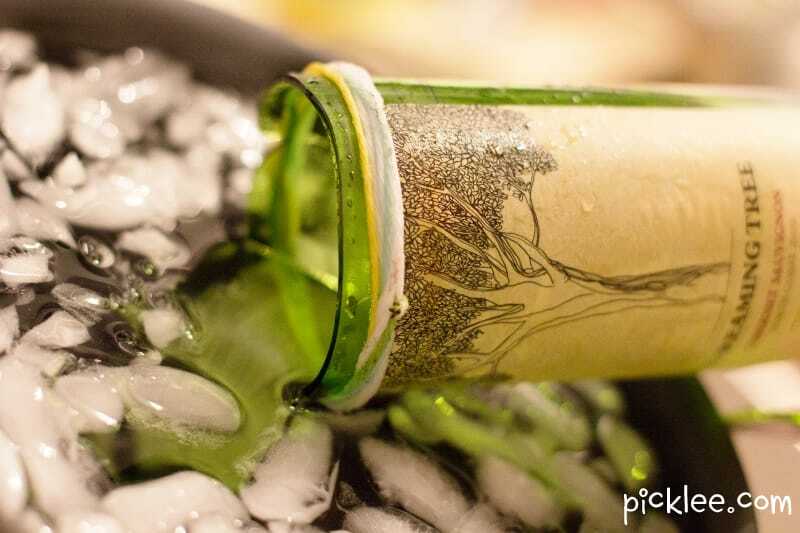 What are some ways that you’ve up-cycled wine bottles? Share your thoughts and ideas below! Love this one!!! Much easier and more fun! Will try this for sure! Before you begin, some terms you need to know: the warp is the material you string on the hoop, the weft is the material you weave with. 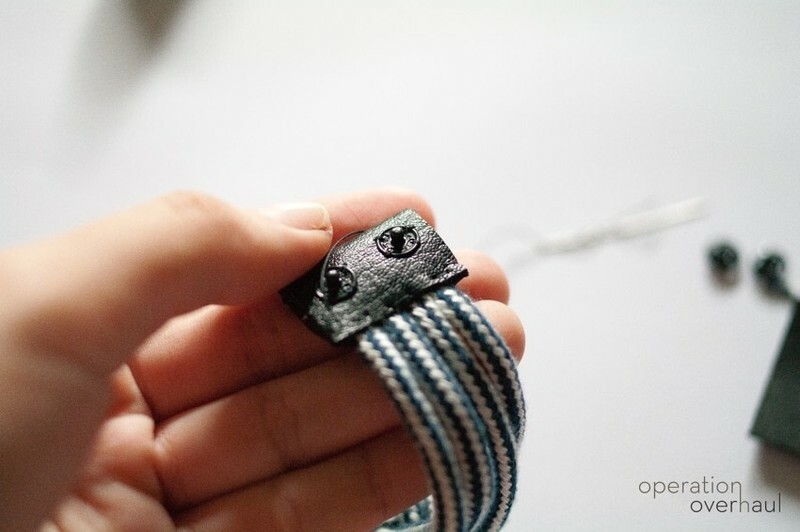 For the warp, cut 1-inch-wide loops from the bodies of one or two tees (we found a boy’s large worked best on our 33-inch hoop), removing the hem and stopping at the sleeves. 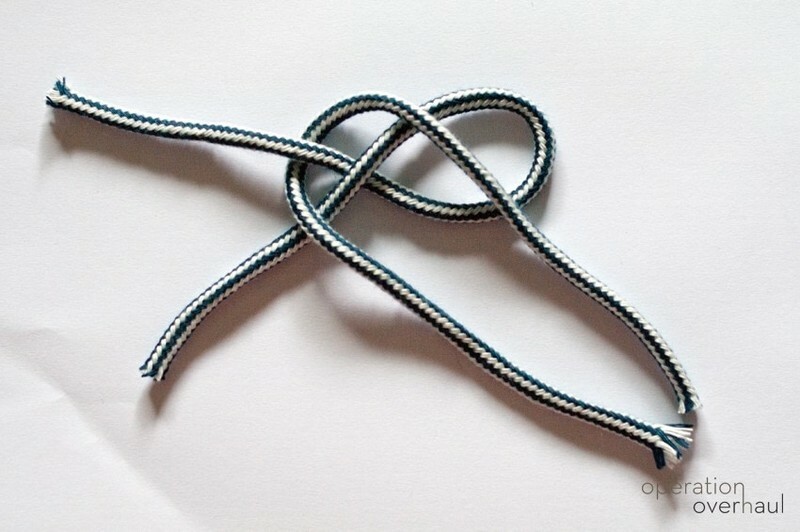 Ideally these loops should all be the same color; we used two colors for clarity in our photographs. You’ll need a total of 11 loops. For the weft, cut at least 50 loops from the remaining shirts. Save the unused sleeves for the basket project. 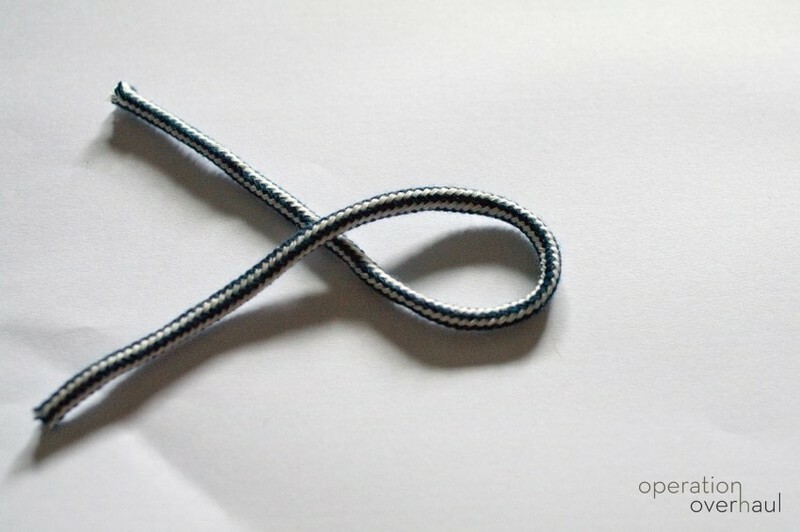 Stretch one warp loop over the hula hoop, as shown. 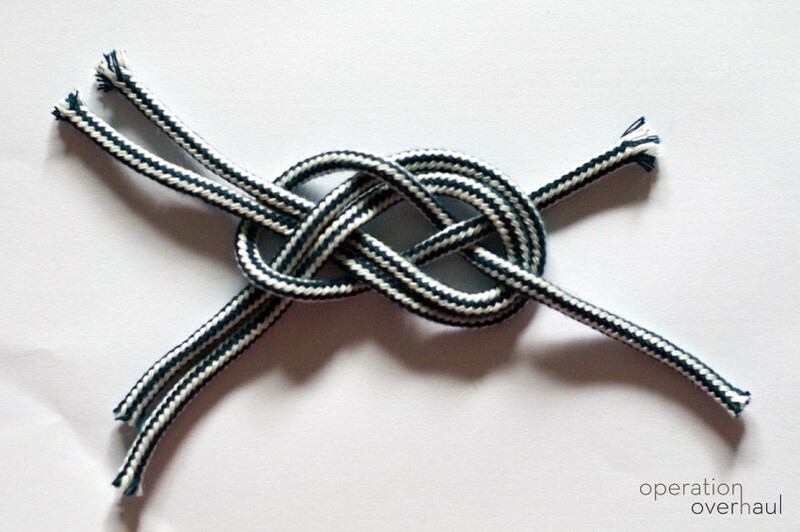 Add and secure a second loop, perpendicular to the first. 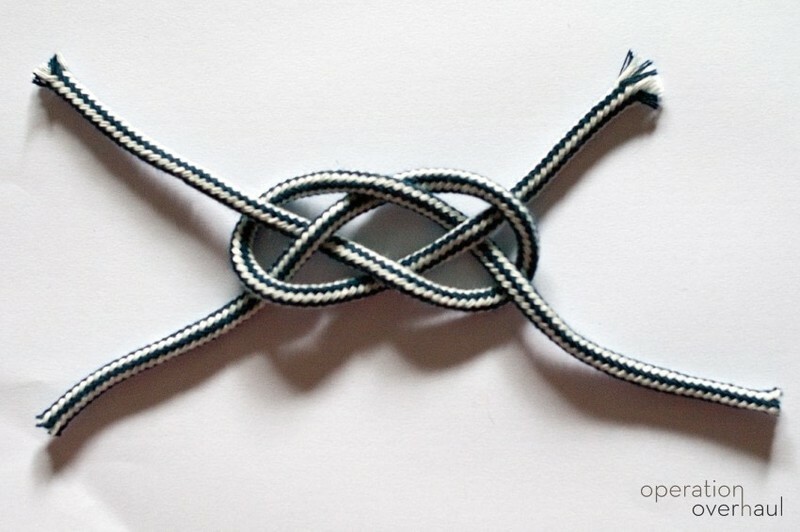 Repeat, filling in the spaces, until all 11 loops are in place. Push together two warp loops at the top of the hula hoop, as shown. This creates an odd number of warp spokes in your wheel, which allows the overunder pattern of the weft to alternate with each new row. Secure the first weft loop to the center of one of the warp spokes (we chose the doubled spoke from step 5) by wrapping it around the warp and then looping it back through itself. Begin weaving the weft over and under the warp spokes, forming a tight spiral. 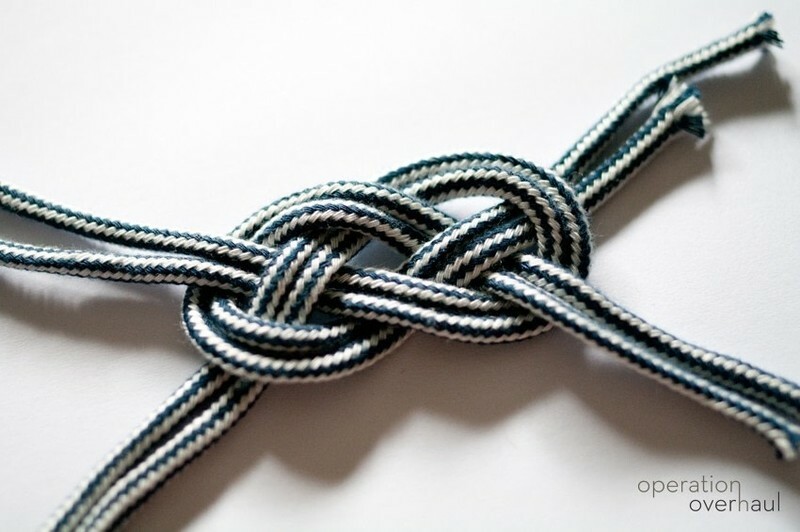 For now, treat both parts of each warp spoke as a single unit, weaving over or under the two together. 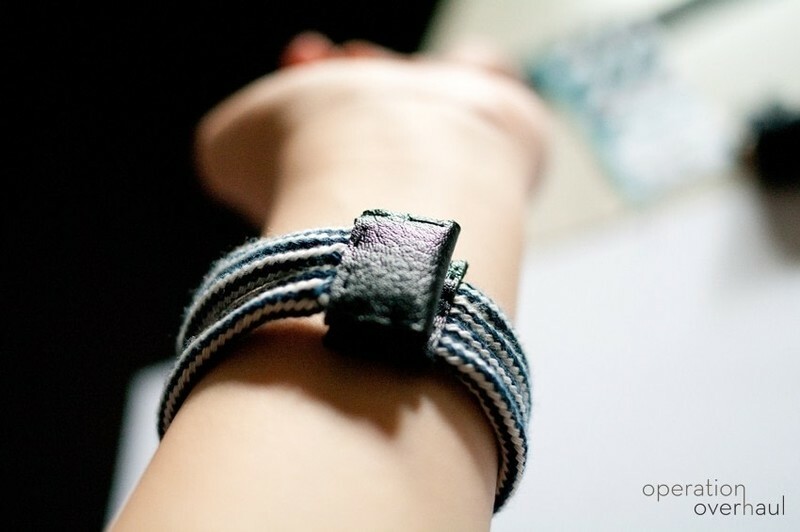 As you work, push the weft material toward the center of the hoop and keep it just snug. 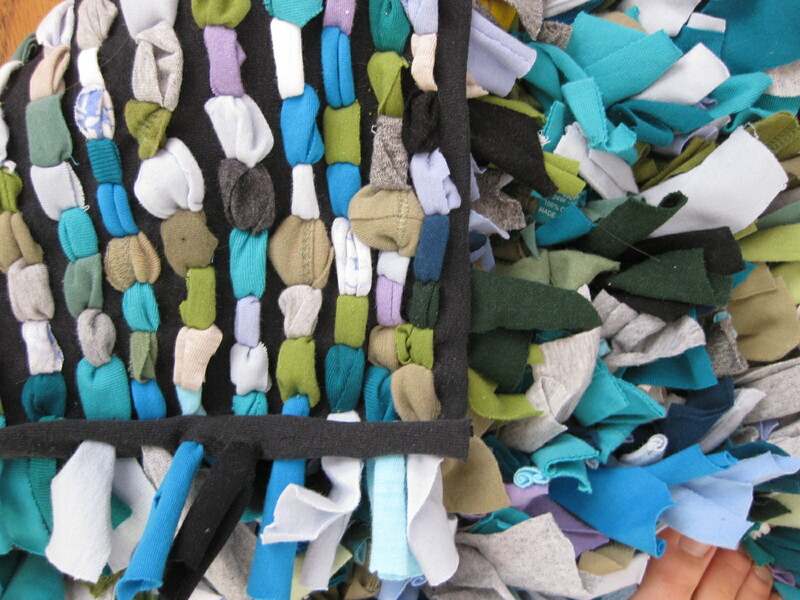 If you pull the weft tight, the rug will develop lumps or bends. 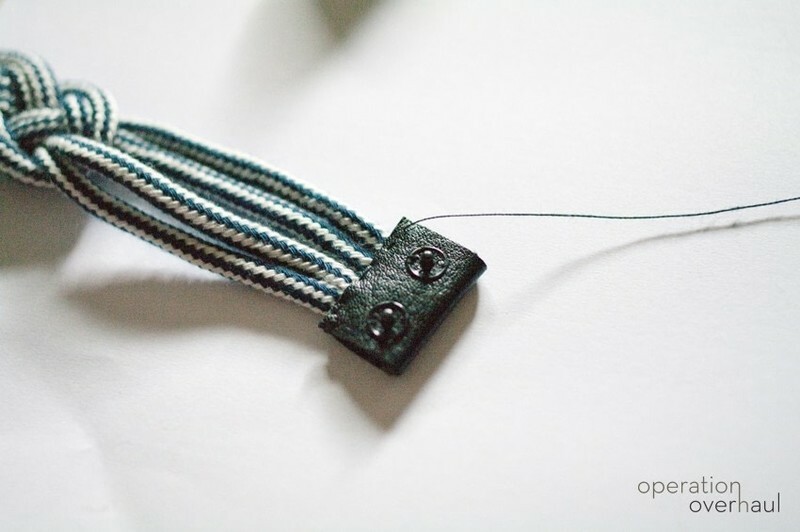 When you reach the end of the piece of weft, add a new loop by threading it through the end of the first and back through itself. When your rug is about 8 inches across, begin treating each warp spoke as two individual strips instead of a single unit, weaving over or under each strand instead of going over or under the doubled spoke. 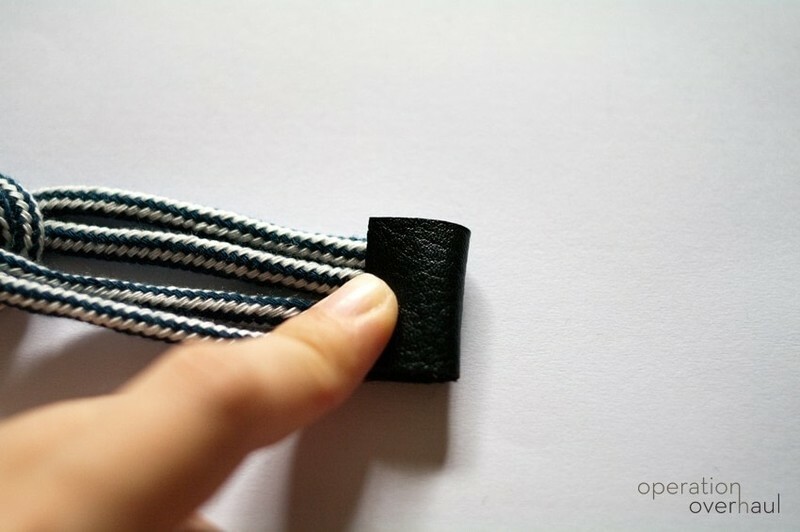 This increases the number of warp spokes, improving the structure of the project. When you get to the two warp spokes that you pushed together at the top of the loom, separate them. Treat one of the spokes as two individual strips, but continue to treat the other as a single spoke. This maintains the odd number of warp spokes. When the rug is the size you want, but no closer than 8 inches from the edge of the hula hoop, snip open your weft loop. Tie the ends around a warp spoke, and tuck the ends into the rug. Cut the warp spokes off the hoop one at a time. 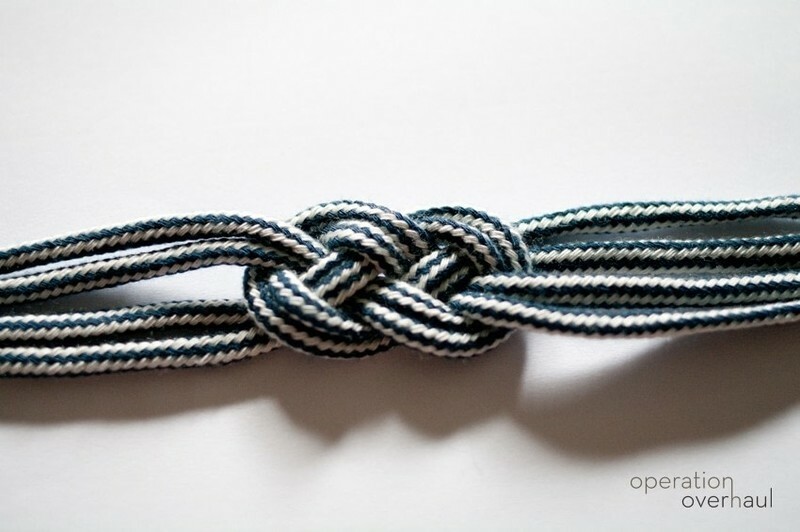 Tie the ends in pairs, then trim them to make a fringe or tuck them back into the rug. I always like the taste of pesto, and then bingo, found a home-made pesto! Perfect! I know what will go with my toast in the mornings! Dump everything but the oil into a food processor and process until everything comes together. About six seconds or so. Using a flexible scraper, scrape down the sides of the bowl and process again for another six seconds. 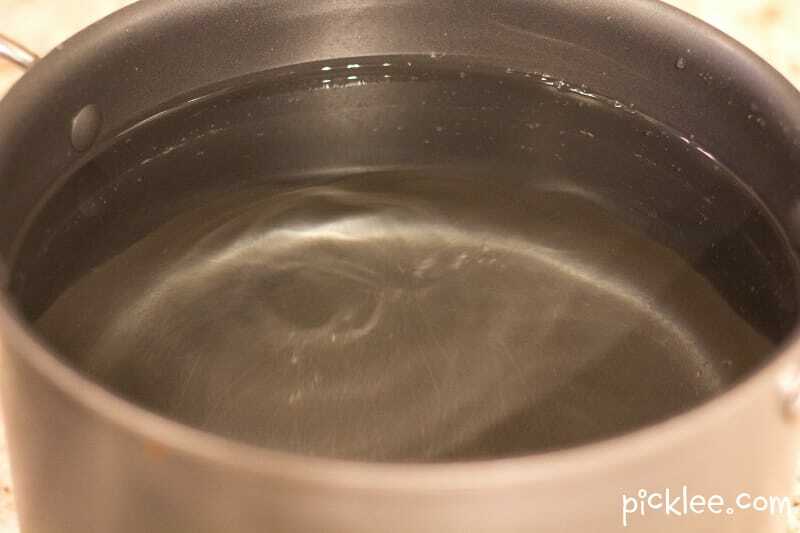 Slowly add the oil, using only enough for its intended purpose. What does that mean? Use less oil when you are using this as a topping in let’s say a pizza or on top of chicken or fish. If you are using it as a dip or bread topper, use a little more oil to create a looser consistency. 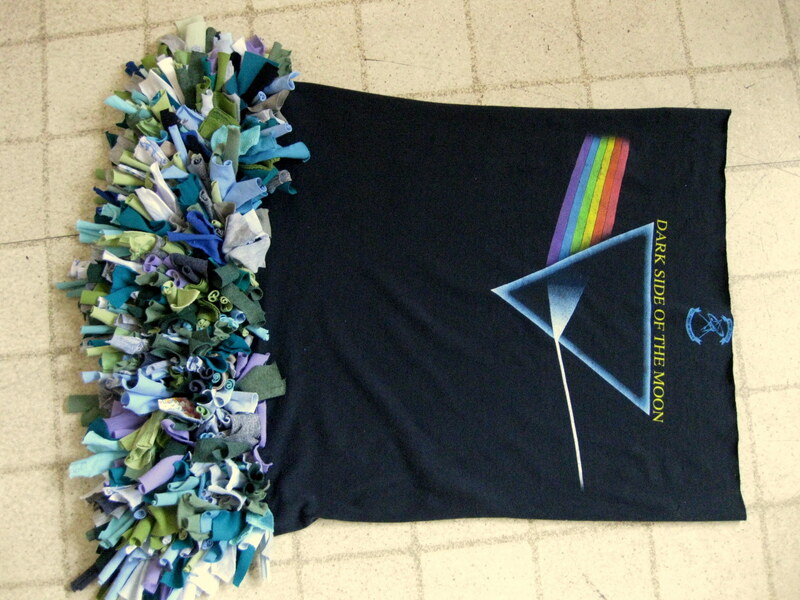 For the base of the rug, lay the X-L t-shirt flat and cut a large rectangle out of the shirt, as large as you would like the size of your rug to be. 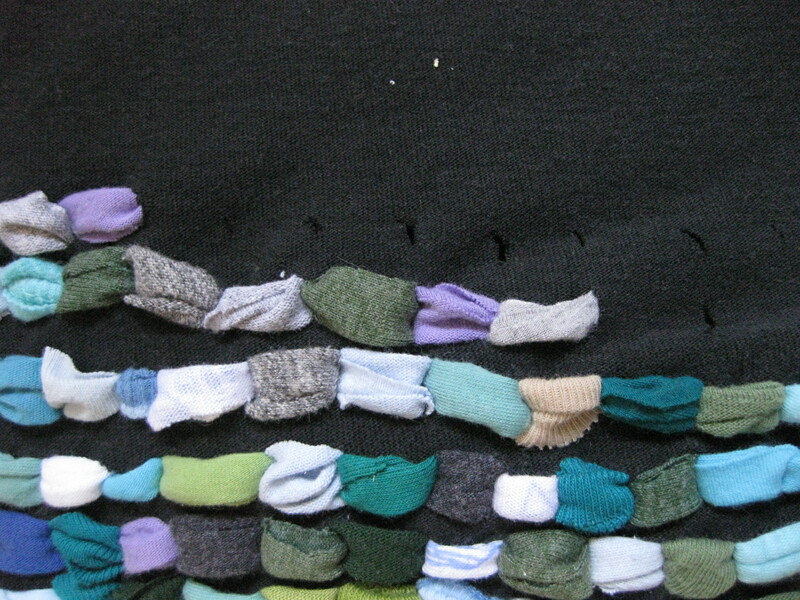 It’s possible to make a larger rug by sewing more t-shirts together- two to make a runner, four to make a large square, etc. You could also cut it into a circle shape for a circular rug. If you are me, you have scraps of t-shirts all over your apartment. If you aren’t, you may need to go to the thrift store and purchase a lot of t-shirts to make into scraps. I would go for 10-12 to start, although I’m not positive exactly how many you will need. Go for more rather than less, and choose complimentary colors, or try to purchase t-shirts that are the same color for a monotone rug. Cut these t-shirts into strips that are approximately 5-6’’ long and 1-1 ½’’ wide. You can use scissors, or if you are lucky, a rotary cutter and board, which helps make things faster. 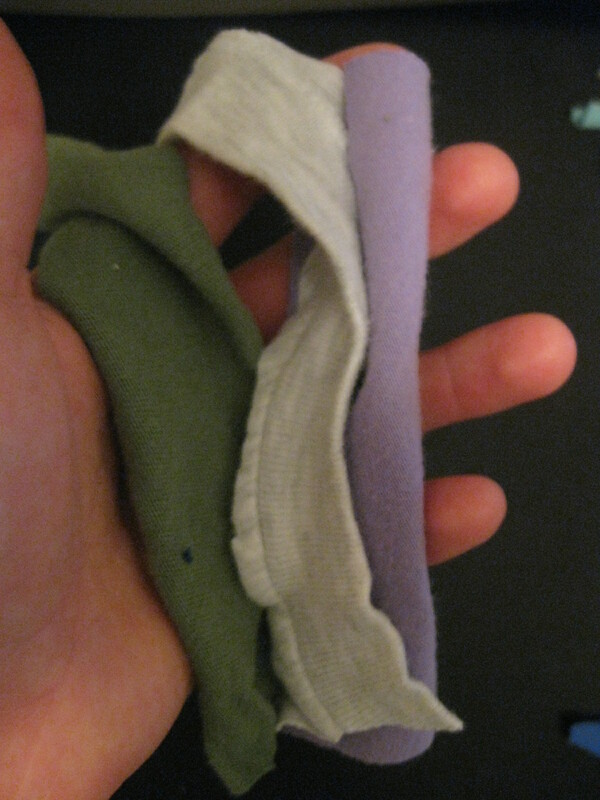 Some t-shirt fabrics stretch and so you can pull them to make them longer. Others don’t. Once you cut a few t-shirts you’ll begin to see what works. 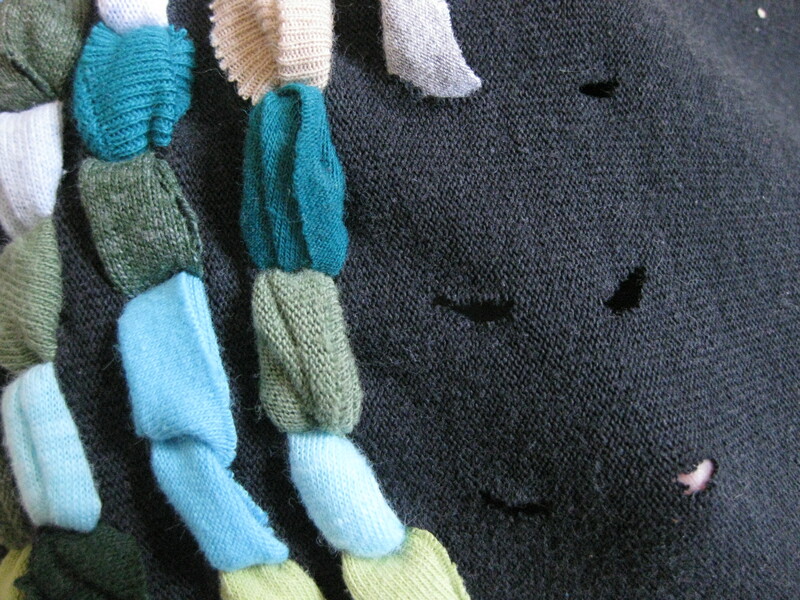 Also, don’t be afraid to use imperfect scraps-scraps that have odd edges, have a serged edge on them, are ruffly, etc. 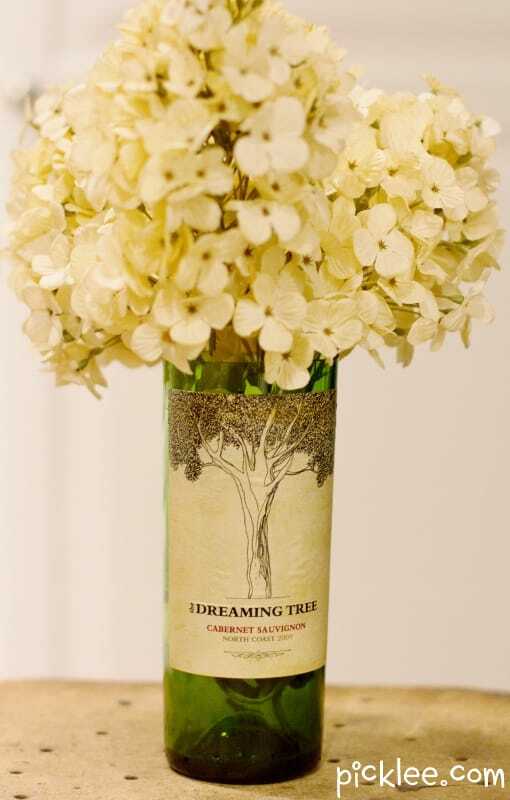 They add to the shaggy look of your rug. 3. Cut holes into the base. 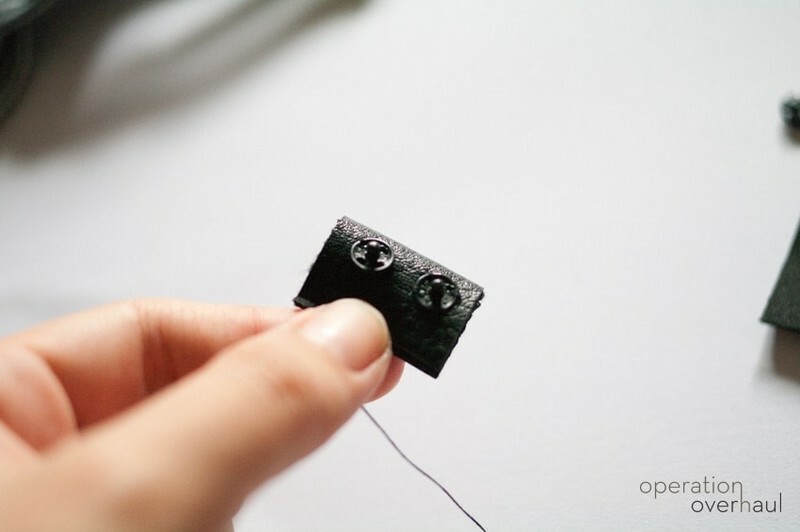 Starting 1’’ from the edge of the base, carefully poke or snip horizontal and vertical rows of small holes about 1/2 ’’ to 2/3’’ inches apart. It will look like a big Lite-Brite board without the little pegs! 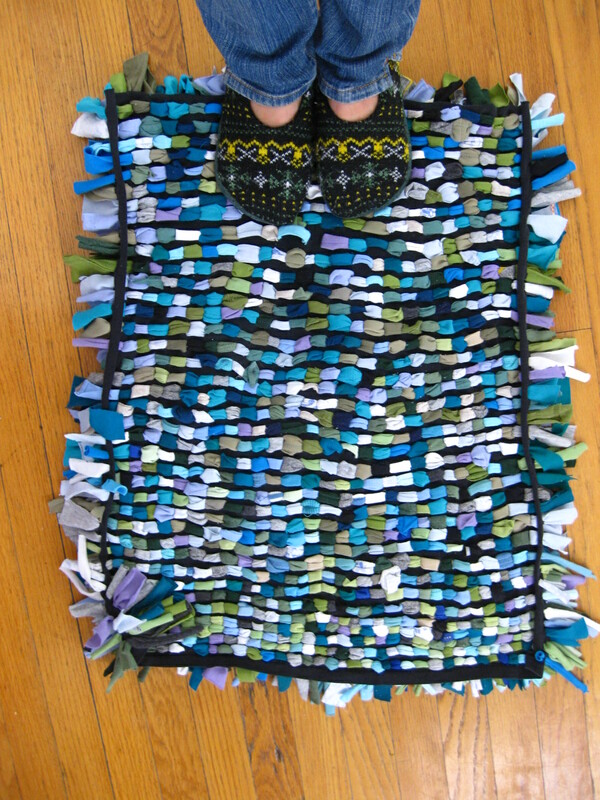 You can also do this as you go along while putting the rug together, as I did, or just go ahead and make all of the holes before you start to thread the scraps into the rug. If you want perfect rows, you can mark the holes first using a ruler to mark the spots. see how the scraps share each hole? 4. 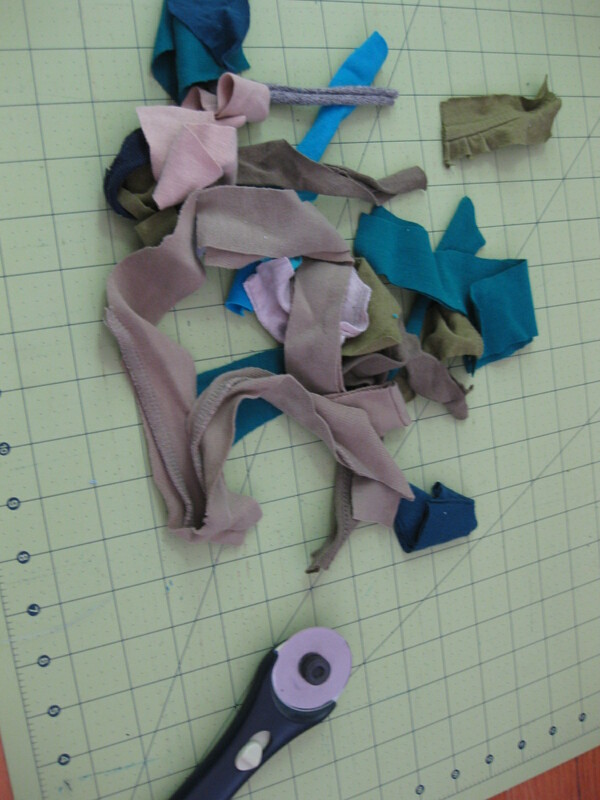 Start threading scraps into the base. 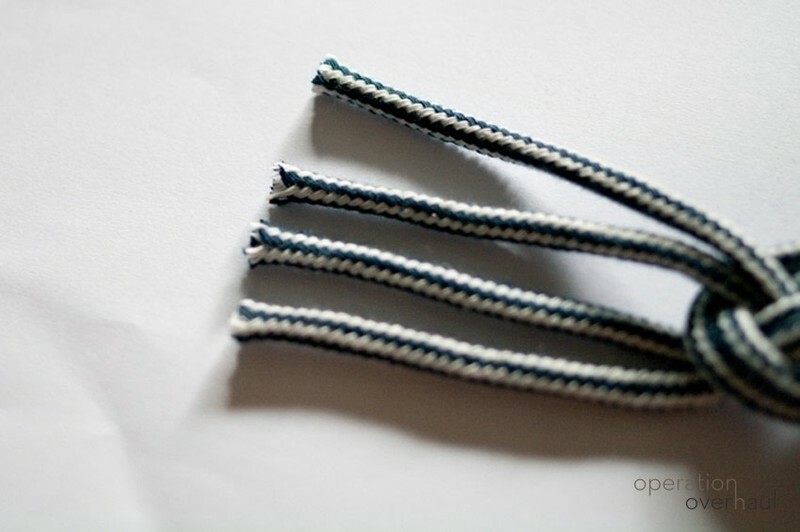 Beginning at one corner, thread a strip down through the first hole and back up through the second. 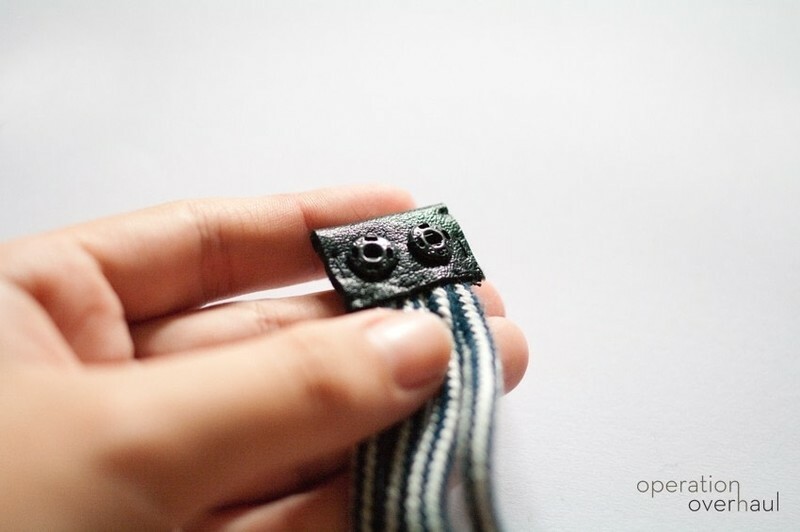 Take a second scrap and thread it through the second hole (the same hole you just pulled the first scrap up through) so that it shares this hole with the first scrap, and then pull it up through the third hole. 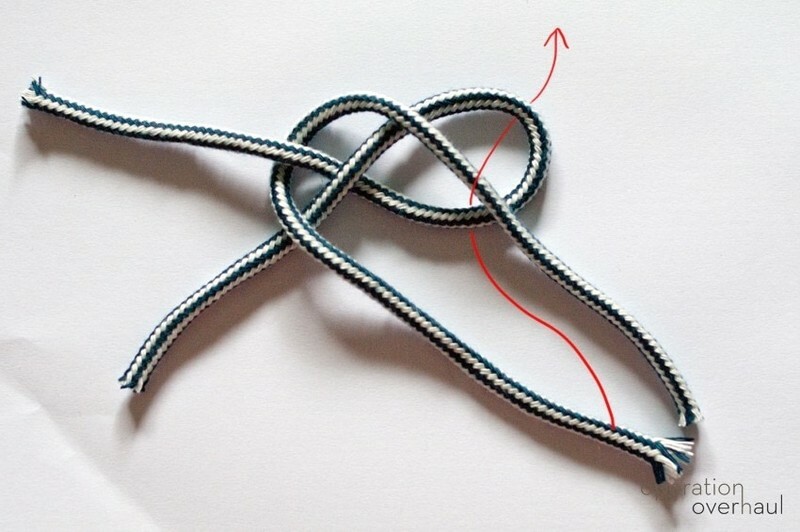 Continue doing this for a very, very long time… Do this while watching movies, television, when you have a really short moment of time and you don’t know what to do. It will take time, but it will be finished! the back and top side of the rug- pretty on both sides! 5. Give your rug a haircut. When you are finished, you can give your rag a little haircut to even out any longer scraps that look off, or you can leave your rug uneven for a shaggier look. But remember, these scraps don’t grow back! The top side of the rug looks great, but so does the bottom side. Flip the rug over for a new look and feel! 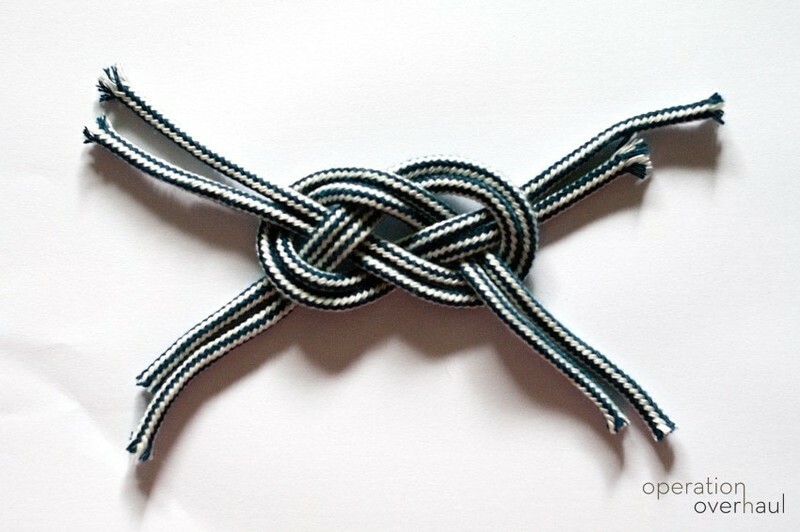 If a scrap falls out or gets uneven, simply put it back in or pull it until it is even. It’s very easy to maintain. If you would like to wash it, please use a lingerie bag and run it in a delicate cycle as it could fall apart in the wash. 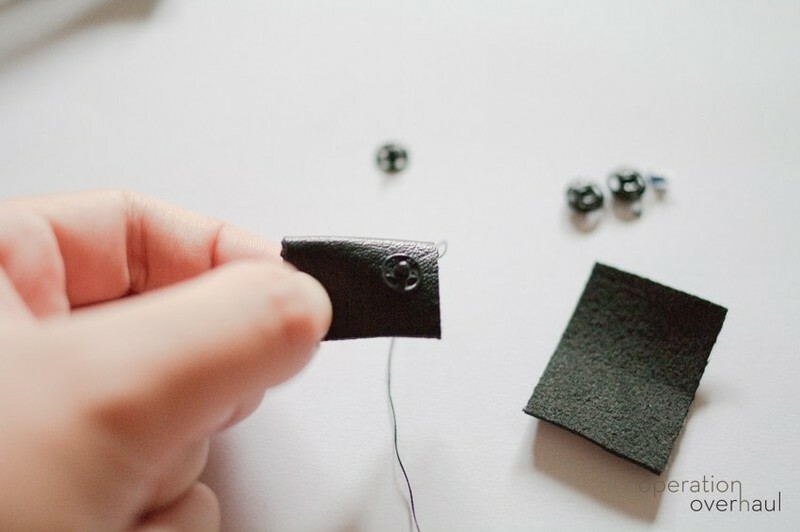 However, the fabric is not delicate itself, so if something were to happen, it can be cleaned. Send me pictures of your own rugs, and I’ll post them here. Or, make one for a Christmas present this year. It’s not too early to start!